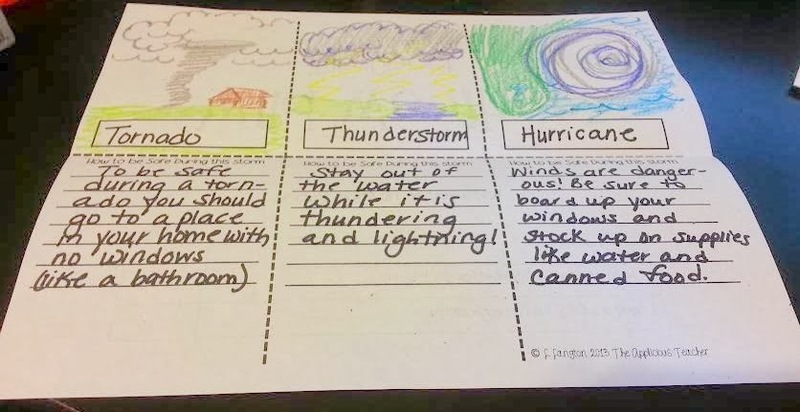 So for the past few weeks in Science, we’ve been learning about the weather. Strange at this time of year, I know, but our district dictates when we teach specific concepts and I guess this is when they want us to teach weather! We had so much fun, I am so excited to share our activities with you! First, we learned that weather is all the air around us. 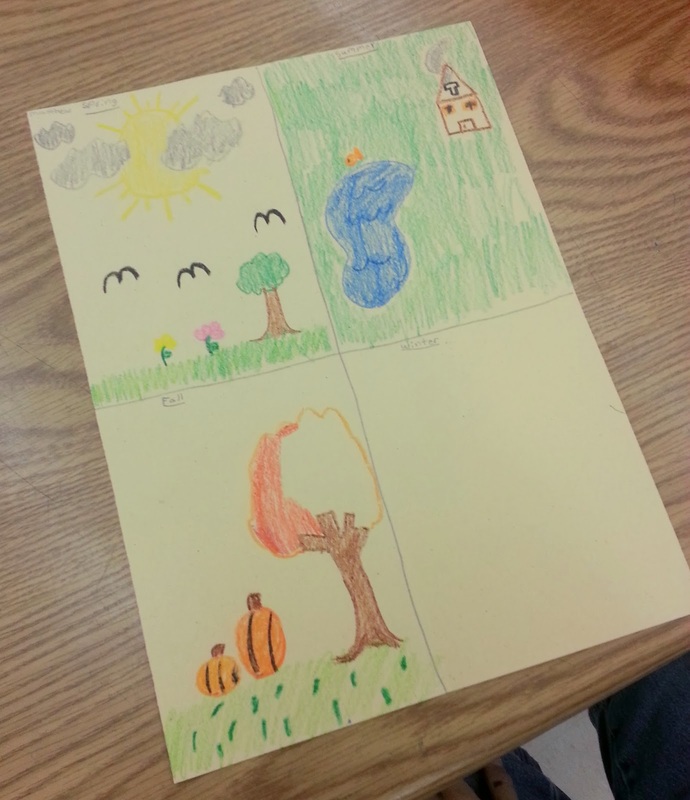 We discussed the temperature and how it can affect the weather. We even had one day of cold weather (60’s is cooolllllddddd in these parts!) I was excited because I got to wear a scarf and boots! 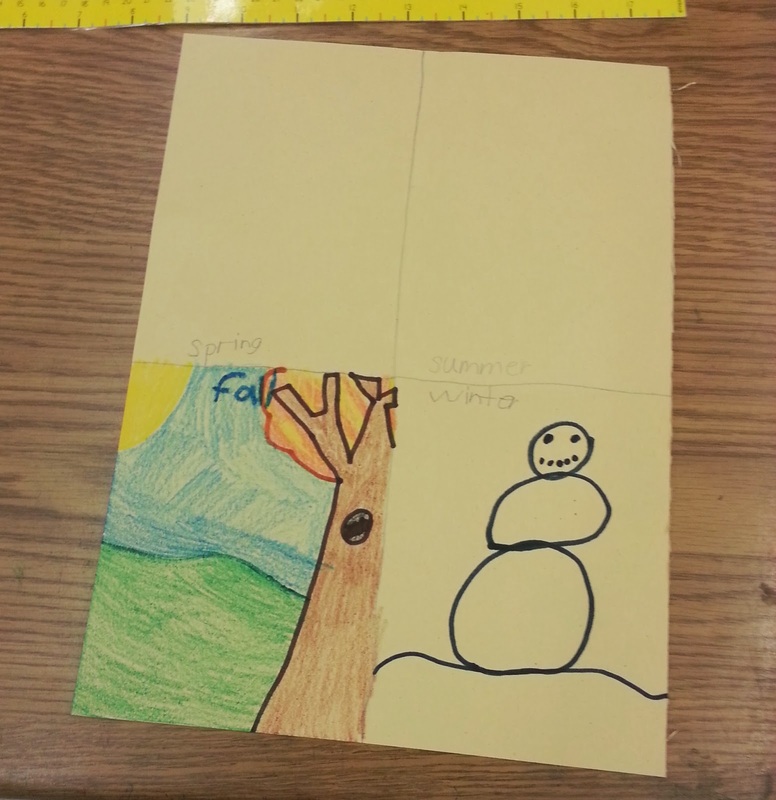 Then, we moved onto the seasons. 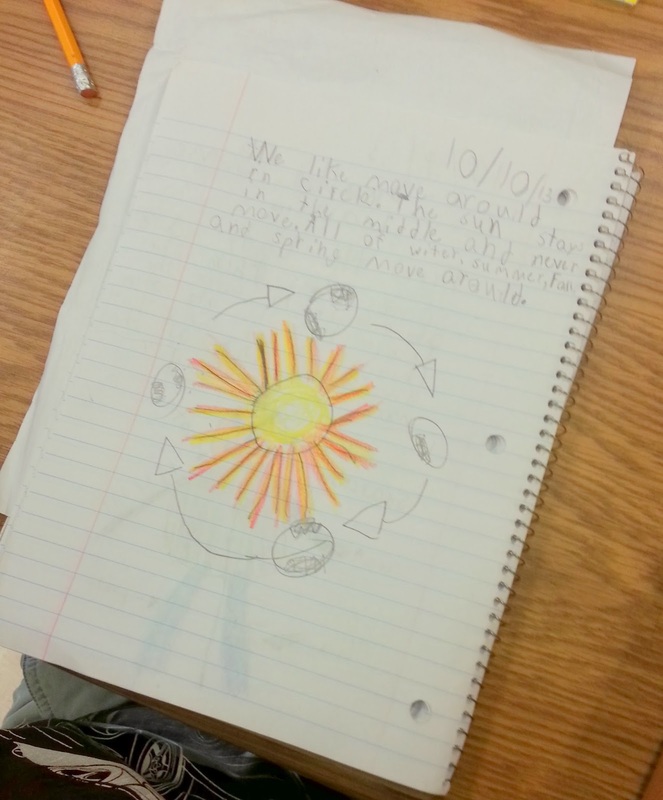 We had learned how the Earth’s tilt as it rotated around the sun is what caused the seasons to change a few weeks ago. So we revisited our illustrations in our Reading Response Journals. From there, we created Four Seasons Mini-posters. 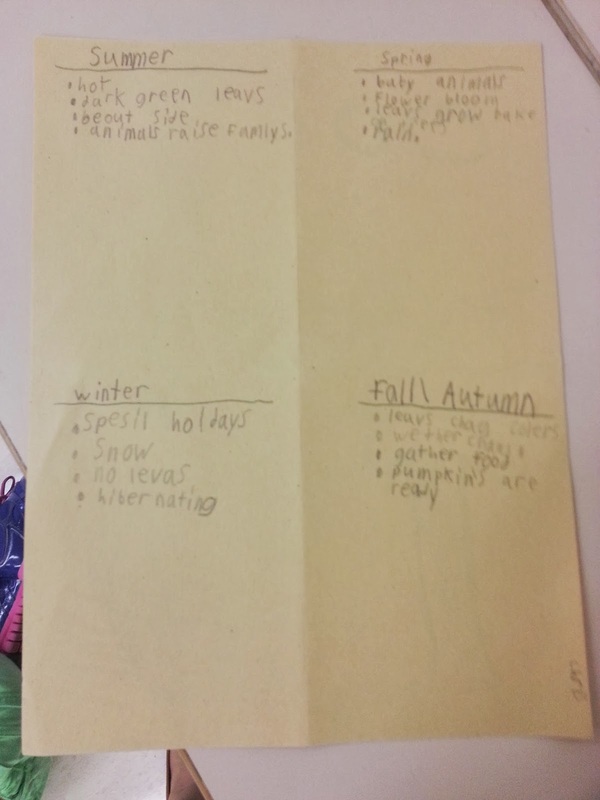 On the front, the students illustrated each season. 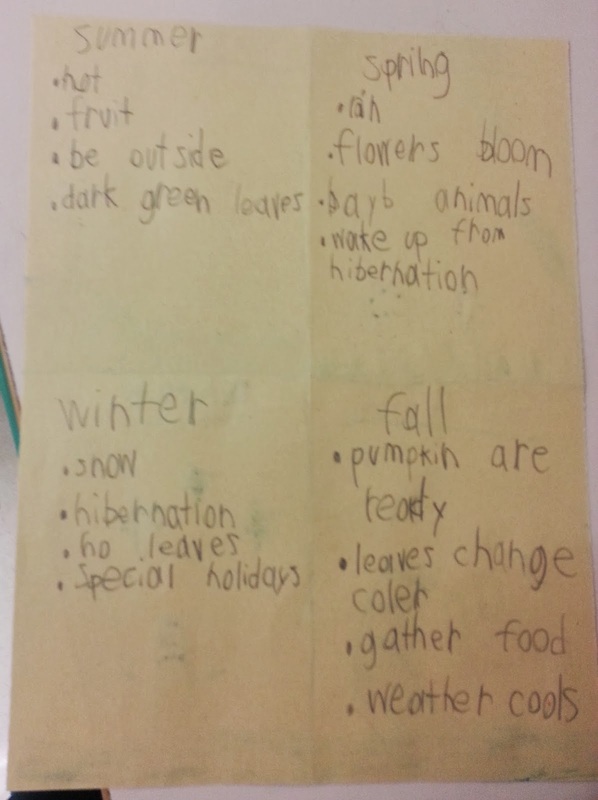 On the back, students wrote four descriptors for each season. 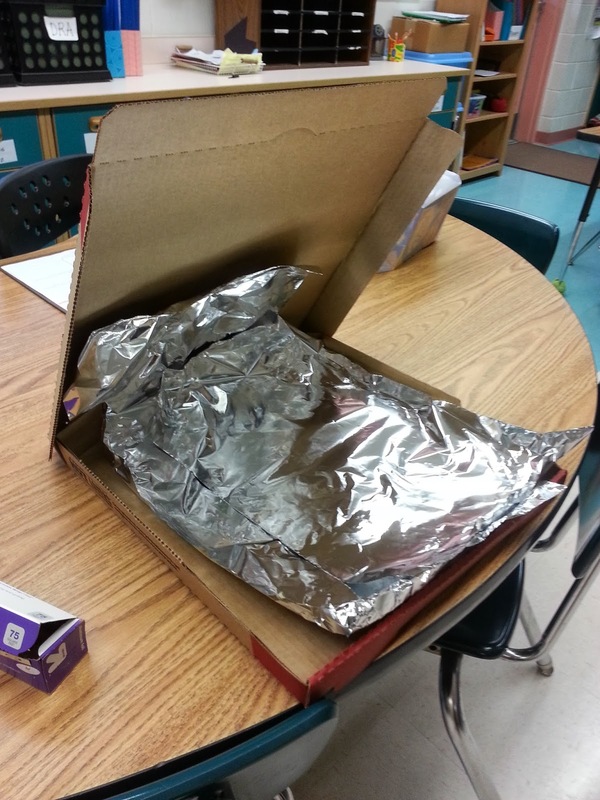 and piled our s’mores into a foil lined pizza box! We left the s’mores out all day in a sunny spot! At the end of the day, we checked on them, recorded our results and made conclusions about the sun’s energy. The kids were soooooooo engaged! 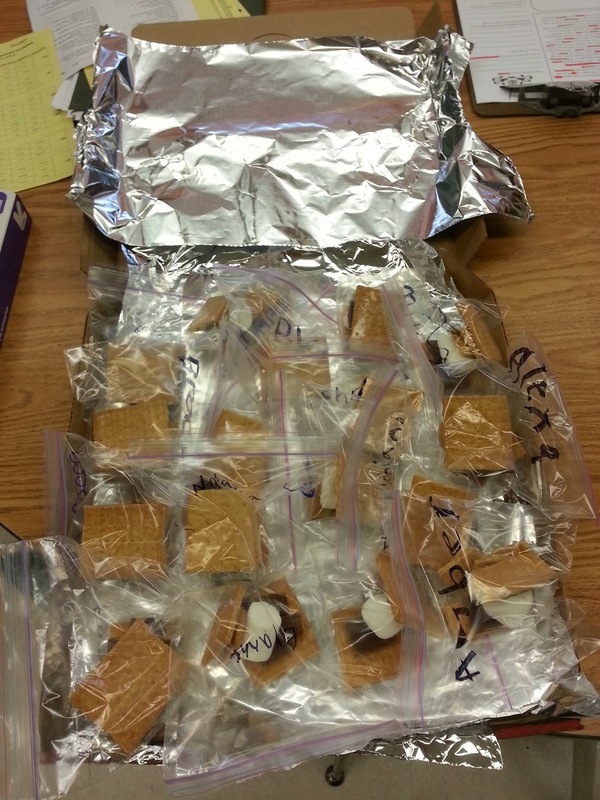 It was a great way to demonstrate the Scientific Process and how the sun’s energy can heat the Earth! I decided to take advantage of the *peaked* engagement and also tied in an expository writing piece, knocking out two CCSS with one stone (W 2.2, and RI.2.3)! SCORE! Interested in trying this in your own classroom? 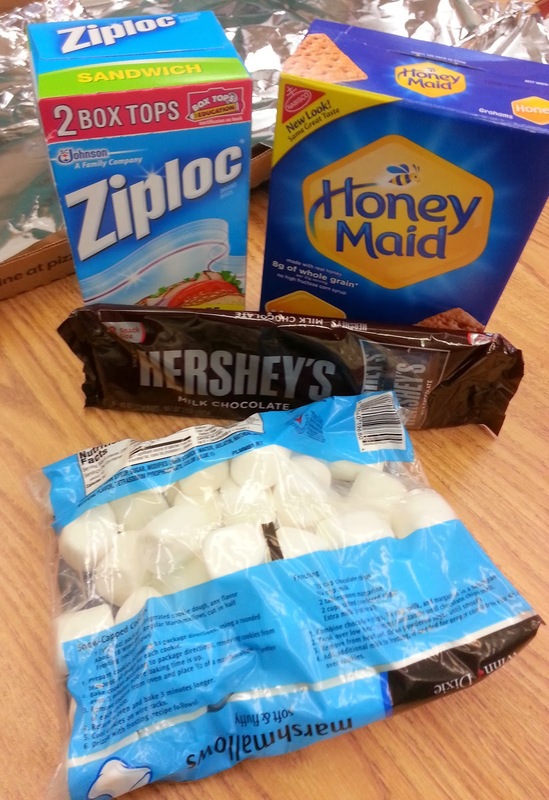 I condensed all the resources I used into a fun themed S’more mini unit! 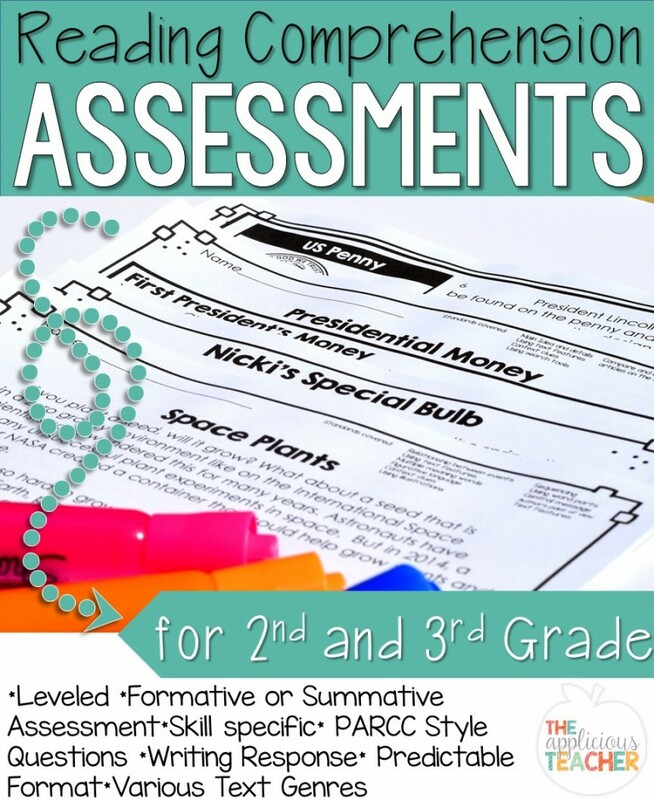 It includes the Scientific Process sheets (with answer key), printables for the “How to Make a S’more” writing and craft and I’ve even included a sequencing center to help prime your students for their writings! You can head over to my TpT store to check it out! To conclude our weather fun, we learned how to stay safe during wild weather! (A HUGE one for the lightning capital in the world!) 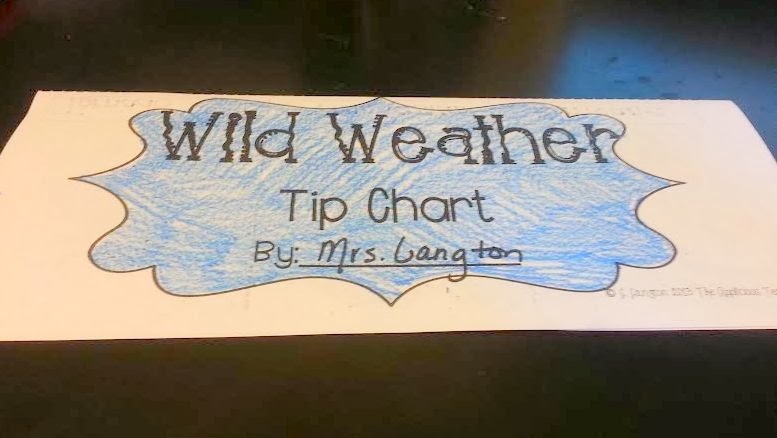 Then, we made these quick and easy wild weather tip charts. You can grab this activity for FREE here!